The Ray Fogg Show is our featured dinner-time show at Reel Bar! Island audiences have been leaving after Ray Fogg’s adult oriented music/comedy shows with a smile on their face for over 30 years. The Sweetwater Recording artist has released 6 CDs showcasing his considerable songwriting talents, with songs about time-honored island traditions as well as lots of material that is just plain funny. 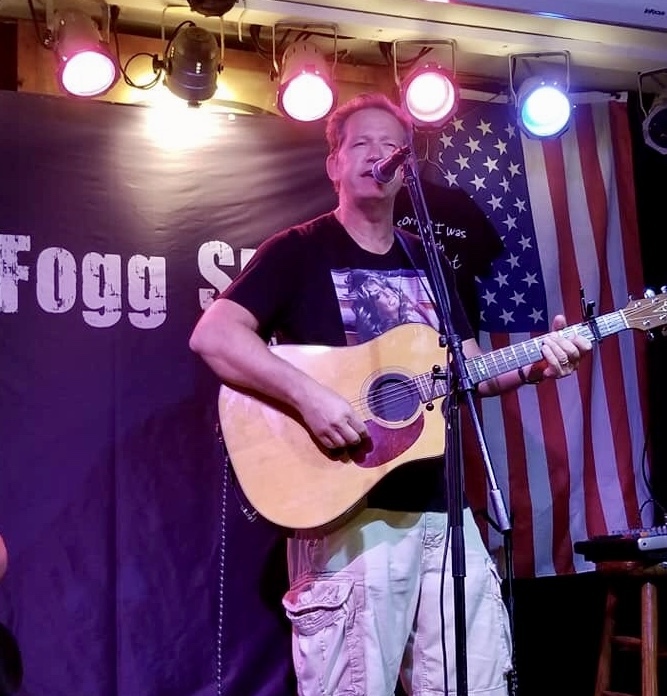 The Detroit News said Fogg “weaves music, comedy and heartfelt songs about island life into an entertaining show.” The Columbus Dispatch called him “one of Put-In-Bay’s most popular entertainers.” Cleveland’s Sun Papers said, “What attracts people to Fogg’s shows is his ability to write, and better yet ad lib, edgy comical songs and anecdotes perfectly suited to a beer-drinking crowd.” Fogg appears most weekends through the season at Reel Bar.